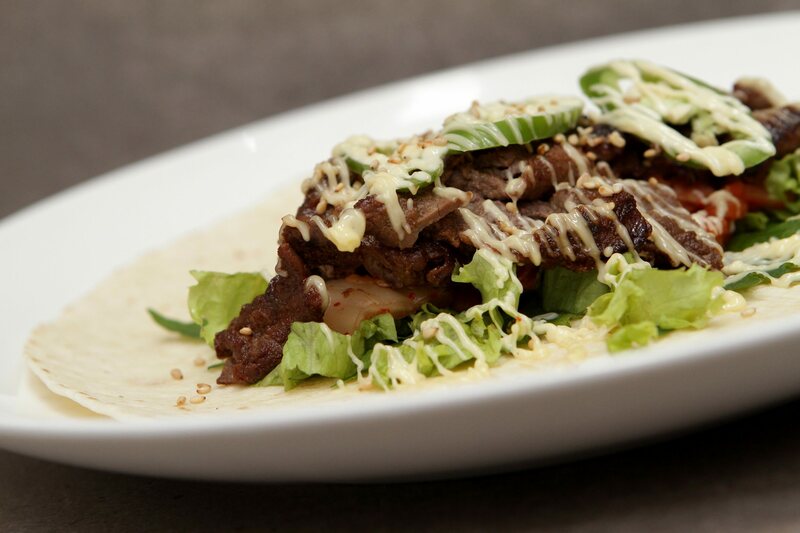 Beef Bulgogi Kimchi Wrap is a mouthwatering, Korean-inspired wrap. It a great choice to jazz up breakfast or lunch. For the bulgogi, combine the onion, nashi, garlic, soy saue, sugar, honey and 1 tbsp sesame oil in a food processor and process to a smooth paste. Combine with the beef and marinade overnight. Heat the extra sesame oil in a large frypan and fry the bulgogi in batches until well caramelised. Scatter with the sesame seeds. To serve, lay a sesame leaf on each wrap and top with the lettuce, kimchi, mayonnaise and chillies. Wrap and serve.